2000s | Weighing a pig doesn't fatten it. People change. 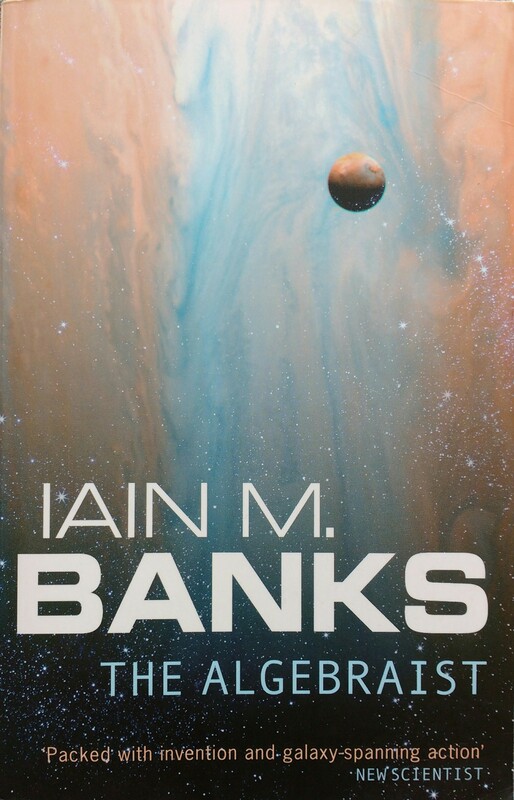 I’ve been reading SF for about a decade now, and Banks was one of my first loves. As I’ve explained in my review of Inversions, when he died in 2013 I still had a few of his books on my TBR, and I decided to savor them. Bad decision it turns out: much to my disappointment, I was terribly bored by The Algebraist. I stopped on page 242 of 534 and in hindsight I should have stopped at least 100 pages earlier. I will never know whether I would have liked this book 5 or 10 years ago. A reread of some Culture novels will probably shed some light on that, but I cannot remember those books to have the problems I encountered here. Three and a half years ago I still liked Surface Detail, and I liked it a lot. The Algebraist has drained my energy, and as a result I don’t even feel like writing a lengthy review – even though I usually like panning books that failed to connect with me. So let’s make it snappy. There’s two main reasons why this space opera tome didn’t work for me. When I wrote my review for Gardens Of The Moon, I didn’t have that much new to offer to readers familiar with the series, and instead I tried to convince possible new readers to give that book a go, as it was one of my favorite reads that year. This is the sequel: what to say about a 943-page book that is the second in a 10-book series, set in a universe co-created with Ian Esslemont – who also wrote another 7 books? Let me start this review by something that could be also of interest to readers not familiar with the series, namely the philosophical foundations underlying the book, and presumably the entirety of The Malazan Book Of The Fallen. After that, I’ll try to voice my assessment of Deadhouse Gates as a work of High Fantasy fiction – the actual review, so to say. That might also be of interest to readers still pondering whether to start this series, as I didn’t feel this book to be as successful as Gardens Of The Moon. I dropped out of this book after 200 of its 600 pages, and that kind of makes me sad. I really liked the first book of The Prince Of Nothing trilogy: I read 54 books last year, and The Darkness That Comes Before was one of the 10 best. This second installment is so much of a disappointment, I don’t even feel like explaining why. I’ll try anyhow, but I’ll keep it short. I’ve only seen the trailer of Starz’s adaptation of American Gods, but that firmly set the face of Ian McShane as default for one of its main characters – Mr. Wednesday, an incarnation of Odin. Ian McShane plays Al Swearengen in HBO’s brilliant – and sadly uncompleted – Deadwood. The mannerisms of that cunning brothel owner suit Mr. Wednesday well, and as books aren’t read in a vacuum, my Mr. Wednesday turned out to be an incarnation of Mr. Swearengen. Kind of fitting for a book about the dark side of Americana, and the casting people of Starz must have thought so too. 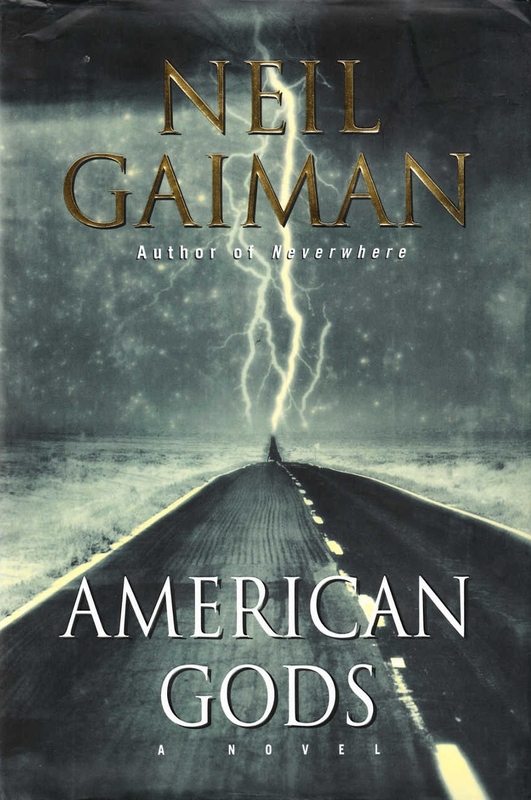 American Gods is Neil Gaiman’s most famous and acclaimed book: it won the Hugo, the Locus Fantasy, the Nebula, and the Bram Stoker award. Worlds Without End has it as number 6 of their most read books, and it’s on spot 2 of their list of SFF’s most nominated books. I guess most people reading this know what the book is about: “gods and mythological creatures exist because people believe in them. Immigrants to the United States brought with them spirits and gods. The power of these mythological beings has diminished as people’s beliefs waned. New gods have arisen, reflecting the American obsessions with media, celebrity, technology, and drugs, among other things.” The book’s protagonist, Shadow, finds himself at the center of a conflict between the old and the new when he is recruited by Mr. Wednesday, just after being released from prison. Damn: hard review to write. 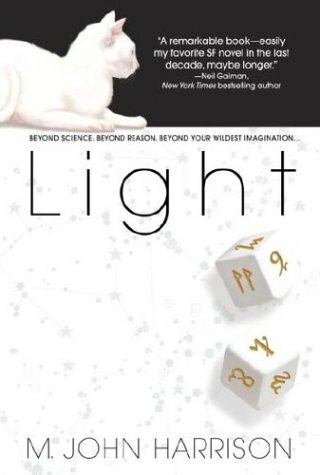 Light is the first of three connected books – The Kefahuchi Tract trilogy. It won the Triptree award, and its sequel Nova Swing won the Clarke and the PKD. 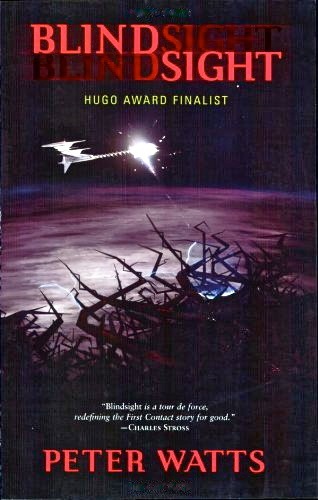 The trilogy is also known as the Empty Space trilogy – Empty Space being the title of the last book, published in 2012. All three books are quite different, and Light can easily be read as a standalone novel.